Waterloo, Ont.-based BlackBerry Ltd. is making its largest acquisition ever in acquiring Irvine, Calif.-based Cylance for $1.4 billion, the firms announced Friday. Founded in 2012, Cylance is known for its artificial intelligence software that aims to intercept security breaches before they occur. It’s one of several firms that are touting new AI capabilities to help enterprises stay one step ahead of hackers. This space has been a hot one this year, attracting venture capital investments and acquisitions. BlackBerry will wholly acquire Cylance, according to a press release, for $1.4 billion in cash, plus the assumption on unvested employee incentive awards. The deal is expected to close before the end of BlackBerry’s next fiscal year, which arrives in February 2019. 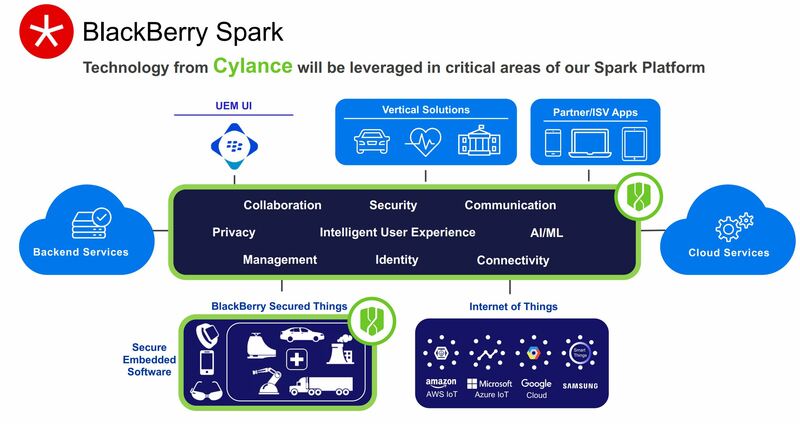 BlackBerry has been pursuing Cylance for about three months, as the firm pursued a path towards an initial public offering, Chen explained in a conference call with media. Along with Cylance, BlackBerry will onboard its 3,500 customers, which includes 20 per cent of the Fortune 500. Chen said that will lead to cross-selling opportunities for BlackBerry, given that Cylance has focused on fixed point security solutions, and BlackBerry can provide its mobile security solutions. Cylance’s solution offers a lightweight client that is suitable for IoT devices that don’t have much to offer in the way of processing power or memory. It also doesn’t require updates to function properly, since it doesn’t rely on signature-based threat detection. Chen said there will be opportunities to embed Cylance into BlackBerry’s QNX product as well. The embedded operating system, from a 2010 acquisition of an Ottawa-based firm, is in 120 million cars worldwide. The acquisition also has implications for channel partners. Cylance’s revenue is 100 per cent driven by channel sales. McClure says partners will be able to offer up BlackBerry products. BlackBerry anticipates its percentage of revenue coming from the channel will increase as a result of the deal, Chen says. Cylance will continue to operate as an independent business unit within BlackBerry, with McClure reporting directly to Chen.